The Children’s Care Network is a collaborative system that offers pediatric practices group purchasing power, cost savings, technical resources and more to support patient care and outcomes. What is The Children’s Care Network? 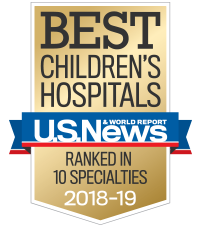 The Children’s Care Network was created through a partnership of community physicians and Children’s Healthcare of Atlanta to meet new demands of the changing healthcare market. Ultimately, our clinically integrated network strives to ensure better health outcomes for patients. Physicians and practices also benefit from our collaborative system that offers group purchasing power, cost savings and technical resources. Our physician-led network includes a wide spectrum of pediatricians—both primary care and specialists—in the Atlanta area. Why should my practice join the network? The Children’s Care Network provides resources to enhance quality of care. As a member, you may negotiate with payors jointly with Children’s Healthcare of Atlanta and other independent network members. What happens to my practice’s contracts if we are unable to meet the network’s requirements? Members are given reports and information about their performance so they can make improvements as needed. The network addresses non-compliance through a process of collegial consultation and remediation. If sufficient improvements are not made, the member may be placed on probation or terminated from the network. The practice will be given sufficient notice during the remediation process to prepare to transition out of the network contracts and assume its own contract negotiations. Does the network benefit small practices? Yes. Small practices face particular challenges in addressing the demands of the changing healthcare market. Retail clinics are taking on more of the mainstays of the traditional pediatric medical home such as back-to-school checkups and minor injuries. Adult systems are cherry-picking some parts of pediatrics, making it harder for primary care pediatricians to provide the full spectrum of care that they know is best for their patients. In addition, we expect the market to move away from fee-for-service reimbursement to payment methods that are based on demonstration of value. The Children’s Care Network helps small practices demonstrate their value to payors and helps handle administrative burdens, such as contract negotiations. The network also seeks to lower overhead expenses through access to other value-added services such as group purchasing arrangements. Does the network give my patients better access to specialists? Care and referral protocols used across the network help pediatricians manage the care of their own patients and make appropriate referrals to specialists. As a result, specialists can focus their efforts on kids who truly need advanced services and treatment. Are there protocols or quality standards that will impact my daily practice? We understand the importance of not placing additional burden on your busy staff. The Children’s Care Network implements primary care quality measures structured around activities that you are already doing in your office, such as HEDIS measures for well checks and immunizations. Will I be evaluated on my ability to meet protocols and quality standards? Members are given reports and information about their performance and have the ability to make improvements. Your practice will be compared with other practices across your specialty and against the measure benchmarks. Our Quality Committee medical director works with all practices on clinical improvement activities through collegial consultation. If a physician or practice is found to be seriously deficient, and does not make the appropriate improvements, they may be placed on probation or terminated from the network. If termination becomes necessary, practices are given sufficient notice to prepare to transition out of the network contracts and assume their own contract negotiations. How do you keep financial and patient information secure? We do not collect financial data on any practice. Our network’s population health management tool is built to analyze patient data in a secure manner that complies with all HIPAA regulations. The network only uses the data you provide for the purposes stated in your Membership and Participation Agreement, unless otherwise approved by the physician-led Board of Directors. Do I need to have an electronic medical record system to participate in the network? You do not need an electronic health record to participate initially. The network’s population health management system and initial quality measures are designed to use billing codes that come from your practice management system. Our system is compliant with all HIPAA regulations. It is built to interface with a number of electronic medical records or to be accessed in a stand-alone manner. What are the requirements to participate in the network? Are there membership dues? You must be board certified and a credentialed member of the Children’s professional staff to join the The Children’s Care Network. Participate fully in the Quality program of the network by following physician-directed protocols to improve quality, expand patient access and reduce cost. Contribute your practice’s pre-adjudicated claims data. Membership dues are determined through a fair market value assessment of the services the network provides. How long does it take to become clinically integrated? The clinical integration process takes approximately 18 months. Once you become clinically integrated, the network can negotiate contracts on your behalf. What happens to my existing contracts if I join The Children’s Care Network? Initially, you will maintain the base contracts you currently have through your practice. The network’s pay-for-performance contracts exist on top of your payor contracts and specify what incentives or shared savings your practice will receive as a result of reaching performance or quality goals. Once clinically integrated, you can choose if you want the network to negotiate base agreements on your behalf on a payor by payor basis. A practice or physician may sign up for The Children’s Care Network at any time until enrollment ends. Enrollment is currently open. How long is the initial membership term? The initial membership term is one year, with annual automatic renewal of membership. Members have the option to terminate without cause with a 90-day notice. Can I join more than one clinically integrated network? In general, The Children’s Care Network is not exclusive. However, if your primary practice is internal medicine, general practice, primary care or family medicine, you will not be permitted to contract through other clinically integrated or accountable care-type organizations with payors who also are contracting with The Children’s Care Network. Can I join the network if my practice does not refer patients exclusively to Children’s? Yes. Clinical integration means that everyone is working toward the same goal of improving patient outcomes and reducing costs. While referral within the network is strongly encouraged, it is not mandatory.